One of the wheels of the Marathon FC9200 broke off. I bought a new one, but I don't know how to attach it. 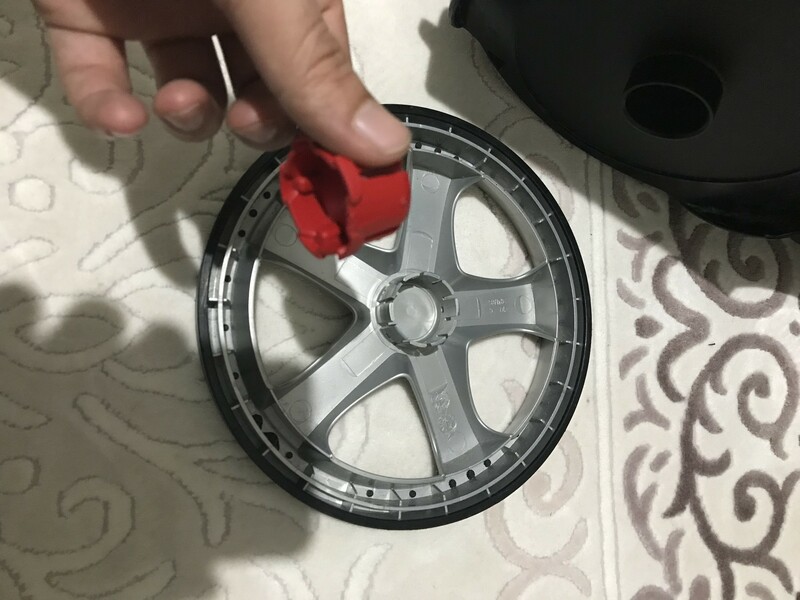 There is an additional part (red) that is located in the axle, but I don't know if you should put it in the whole and then attch teh wheel, or put it in the axle before attching the wheel to the cleaner. If I try to follow the secon possibility, I feel much resistance and am afraid that I will break either the wheel or the hole into which the wheel should be attached. 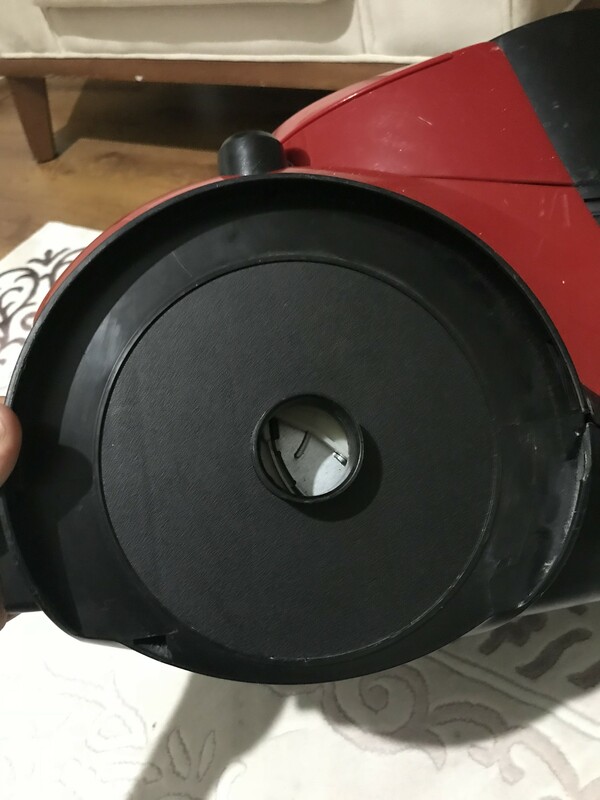 You first have to put the round/cylindrical shaped retainer which keeps wheel locked in position into the wheel, and then push the axele into the whole in the vacuum cleaner. It is somewhat scary, as you have to press very hard and I was afraid to destroy the wheel or hole. But it worked! I have Philips Marathon Vacuum 9205 . Right wheel came out. Also, there is a red part . I don't know how to keep it inside of the vacuum. hole in the vacum cleaner is wider than the wheel hub. I tried every possibility. but I couldn't do it. wheel is going out. It is like ; there a missing part. I don't know. If you have any idea, please share with me. You can look at the pictures I took. Jos de Mul , You may have to disassemble the machine a bit, pg. 5-7 of the guide below shows what looks to be a type of round/cylindrical shaped retainer which keeps wheel locked in position. Click on the parts guide below. Good luck. I hope this helped you out, if so let me know by pressing the helpful button. I don't have an answer but a question instead. May I know where you bought the replacement wheels for your FC9200? I need replacement wheels because the rubber on the wheels of my old FC9200 is disintegrating. Otherwise, the vacuum cleaner is still functioning perfectly. According to the parts manual for a Philips FC9200, the rubber wheels don't even have a part number unless it is considered to be part of the lower housing -part #31 (click on p.5 to view location of part). Thanks jayeff. I was thinking of replacing the complete wheels. 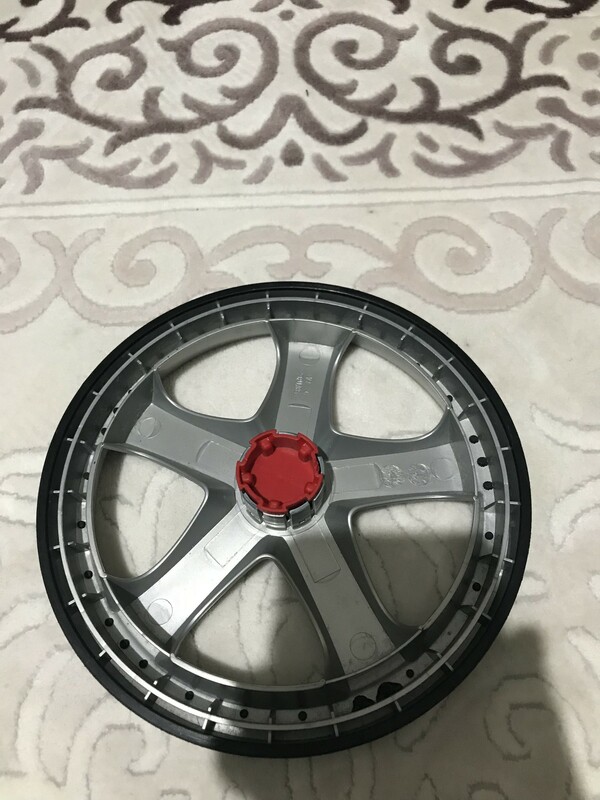 It is 4322 003 24960 Spoke wheel grey. I contacted Philips and confirmed that’s the right part. 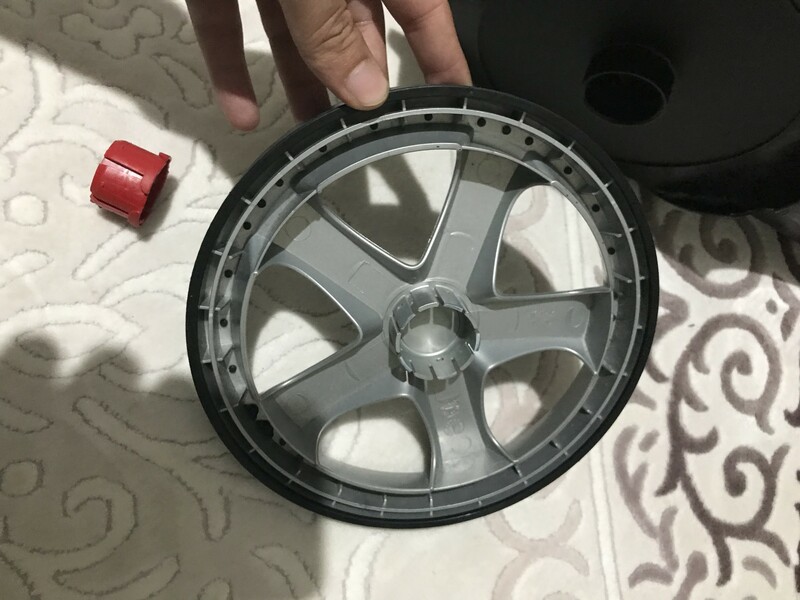 They sent me a picture of that part # to confirm that it is the wheel I wanted. Unfortunately, after I confirmed and they checked for availability, I was told they no longer have the part because it is for an old model vacuum cleaner. Thanks jayeff. I want to replace the complete wheels. It is 4322 003 24960 Spoke wheel grey. I contacted Philips and confirmed that’s the wheel I needed. They sent me a picture of part # 4322 003 24960 for me to confirm it is what I needed. Unfortunately, after I confirmed and they checked for availability, I was told they no longer have it because it is for an old model. That’s why I was interested to know where Jos de Mul bought his replacement wheel. I currently just duct taped the rubber surface of the wheel so the disintegrating rubber don’t leave a mess on my floor.